When I bought my first Speedmaster Professional (on the 1st of October, 1999), I was completely captured by the beauty of this historical chronograph. Weeks, perhaps even months, I was browsing the internet for more detailed information on the Speedmaster series. It rapidly occurred to me that buying a vintage Speedmaster wasn’t something easy, as it – like always – is in the details. Luckily, the world wasn’t craving for tropical brown dials and all original flimsy bracelets, so at some point I was quite comfortable buying my first caliber 321 Speedmaster Professional ref.145.012 for approximately 800 euro (2000 Dutch guilders). The fun thing is, that I always seem to return to Omega Speedmaster watches. I’ve had plenty of other makes and models, but a Speedmaster (Professional) always makes me smile. In my humble opinion, it is one of the best value for money chronographs, even considering the current list prices (approximately $4,500.- USD). The current list price also keeps it very interesting to look out for a nice vintage model, preferably 1960s or 1970s. Recently, I bought this 1971 Speedmaster Professional (145.022) with a caliber 861 movement in very good condition. My friend The WatchPhotographer borrowed it for a few days and took some macro shots of the dial I would like to share with you. To start with the logo and model print on the dial, it differs a bit from the modern version of the Speedmaster. I am no font-expert, but I think the font used is exactly the same, with the exception of the bond printed Omega logo and Omega wording on the dial. The Speedmaster wording also has changed over the years, where the S and P were attached in earlier models, the caliber 861 models have them separated. The S in the vintage models is also a bit more sleek. The R is the Speedmaster wording is still quite ‘long’ on this dial, but on later dials it has gotten a bit shorter. To show some of the differences between this vintage dial and a modern dial, I’ve used a nice macro shot of Michael’s – friend of the show – modern brown dial Speedmaster Professional. Another cool thing about these vintage Speedmasters is that their dials have some more ‘depth’ to it than they have in the new Speedmaster Professional models. The sub dials in modern Speedmasters are a bit more close to the dial surface than they are with vintage model similar to my 1971. 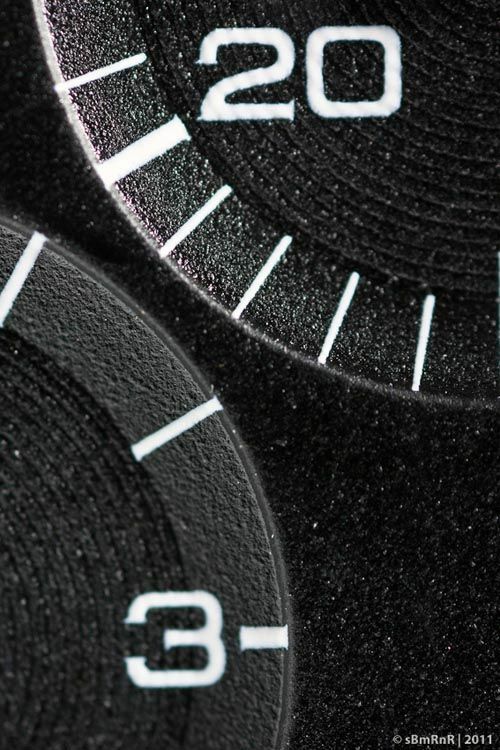 In the macro photo below, you’ll see a part of the sub dials belonging to the minute and hour totalizers. Besides that, it seems to me that the grain inside the sub dials is more out there than it is in the newer models. 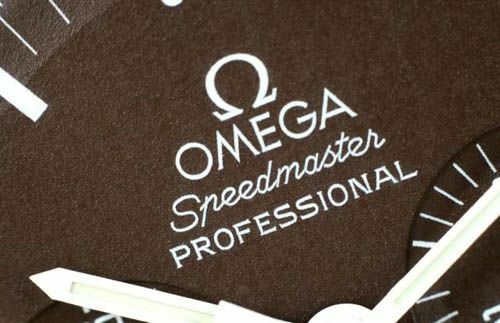 What I also do love about Speedmasters is their history with NASA and although some people get tired over every limited edition Omega seems to bring out each year, I think most of them are well done and cool to own. The limited edition with the Snoopy dial (and case back) is something high on my ‘want’-list, but they seem either hard to get or quite expensive. The ‘regular’ Moonwatch models have this “The First Watch Worn On The Moon” and “Flight-Qualified By NASA For All Manned Space Missions” which is pretty neat of course. 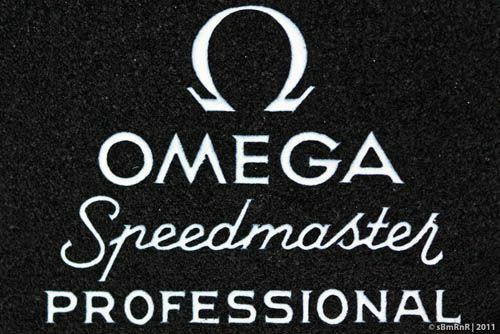 The inscription and engraving on my ’71 Omega Speedmaster Professional is basically the same as it is on the case back of my modern Speedmaster Professional (2002). 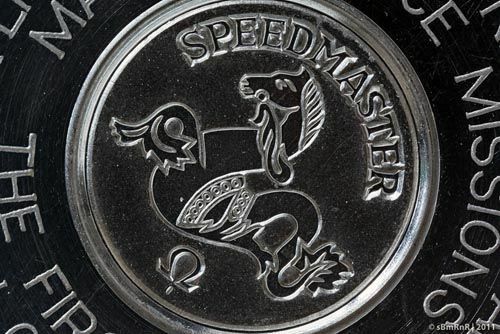 Before 1969, the Speedmasters had an inscription of the ‘Speedmaster’ wording accompanied by the famous Seamaster’s sea-horse image. Later on, Omega used a horizontal inscription as seen on the gold Speedmaster Professional watches that were produced to commemorate the moon landing. The first few hundred of these watches (1,014 in total) were given to the president, members of the white house and NASA’s astronauts (more can be read here). The same horizontal inscription has been used for 300 stainless steel Speedmaster Professional models, this number has never been confirmed though. I personally don’t care much whether a Speedmaster is vintage, new or something in between. A Speedmaster is always a welcome watch to anyone’s watch collection, no matter if you are a starting watch connoisseur or an advanced collector of Patek minute repeaters. New or old, a Speedmaster Professional ‘Moonwatch’ looks terrific and goes well with every occasion or dress code. In the end, it’s not the question whether you should buy a Speedmaster Professional or not, but which one to get. There are so many nice versions available, both old and new, it can become a ‘queste’ of its own to decide which one is the perfect version for you. A big thanks to The Watch Photographer and Michael for the macro photography.